The Pakistan women's team will have a new batting coach for their upcoming ICC Championship fixture against South Africa. Former Pakistan first-class cricketer and coach Iqbal Imam has put in charge of the batsmen, replacing Andy Richards. A statement from the PCB said Imam's appointment had been made "in light of the PCB's vision and strategy to invest further into women's cricket and to help the women batters improve on their overall performance and become one of top performing sides in the world". Imam takes charge of the batting with a stellar coaching resume behind him. He is currently the head coach of the Karachi region, and was one of Sharjeel Khan's coaches when he made his international debut, with both hailing from Hyderabad. He had also served as the assistant coach of the Pakistan A team, the Under-19 team and the women's U-17 team. In a 15-year domestic career, Imam played 262 first-class and List-A games, scoring 8,439 runs and taking 219 wickets with his right-arm offbreaks. He will join the team's training camp in Karachi, which begins on 9 April under head coach Mark Coles. They depart for South Africa on 29 April for three ICC Women's Championship ODIs on May 6, 9 and 12, which will be followed by five T20Is on May 15, 18, 19, 22 and 23. PCB managing director Wasim Khan said: "Iqbal is a hardworking and committed batting coach who fits perfectly in the PCB's vision for women's cricket, which is to provide them with skilled individuals who will add significant value to both their development and performances. "Iqbal's appointment is also testament to the PCB's commitment to reward and promote all the top performers, while also creating merit-based coaching opportunities for talented Pakistani coaches. "The tour to South Africa is an important one as our team will like to build on their success against the Windies and move up the points table. 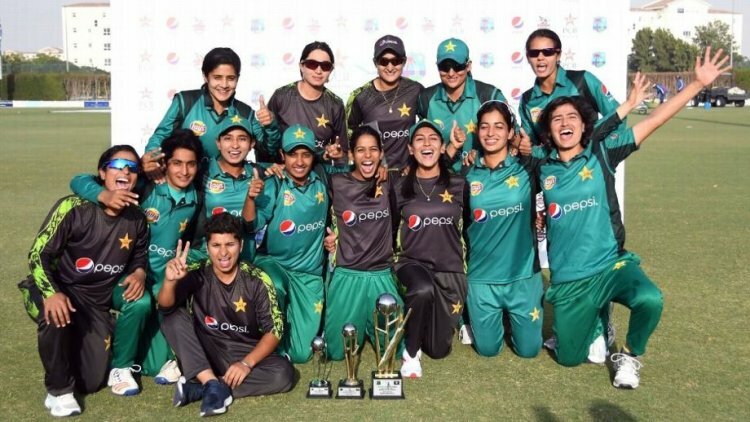 In addition to this, this challenging tour also provides a chance for the Pakistan girls to prepare for next year's ICC Women's T20 World Cup 2020.